The root causes of workplace conflict -- Surprise! Sometimes workplace conflict isn't about the people but it's about the organization. Editor's Summary: Almost always we attribute conflict at work to the people at work. However there are often other causes -- root causes of conflict that are part of the organizational culture and environment -- systemic factors. 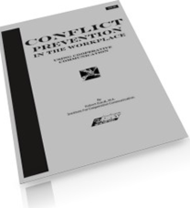 Here's a very brief discussion of root causes of workplace conflict. Those two just can't get along. Would you see if you can help them get past their differences with one another. They don't seem to be very good communicators. One of our senior teams is in a real rut since a new VP came on board nine months ago. I don't think they like him and they're acting out. We could really use some clearing the air. We're trying to move the organization forward and we've got a few people who aren't good with change. Can you help move them forward? Skill deficits. Most of us were didn’t learn the “Fourth R” in school. We learned reading, writing and 'rithmetic, but were not formally educated in relationship. Building relational skills, such as those associated with effective negotiation, interpersonal communication, and collaborative problem solving increases employees’ ability to navigate conflict before it becomes destructive. Ineffective organizational systems. System problems can, and often do, masquerade as interpersonal conflicts. As I work with parties to peel back the layers of a conflict, it’s not uncommon to uncover ways the organization’s systems are pressing upon one or more of the individuals involved and directly influencing their behavior. These system problems may be invisible until the overt conflict begins. Ineffective conflict management systems. The informal system of organizational culture (as in the ways employees and leaders show through word and action that “this is how we deal with conflict here”) and formal intervention systems can have a profound influence on whether or not conflict unfolds in a healthy or destructive way. Poor conflict engagement skills in an organization's leaders often means poorly managed conflict throughout the system. Misuse of ADR. While the increasing commitment to Alternative Dispute Resolution (ADR) in organizations is a positive step, it’s often use too late in a conflict, confuses mediation and arbitration, or imposes a process unhelpfully on an unwitting or ill-informed employee. Effective conflict resolution systems, even in very small organizations, create opportunities for conflict to be identified and addressed early and constructively. Effective processes should emphasize talking things out effectively early in the dispute, the use of mediation before grievances or litigation harden positions further, conflict resolution coaching for and by educated managers, and training that supports real behavior change. Copyright © 2004 and 2006 by Tammy Lenski. All rights reserved. 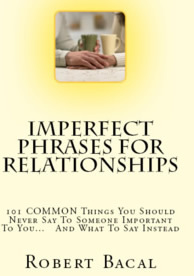 Visit www.lenski.com for more tips and resources on talking things out in the work and home relationships that matter most. 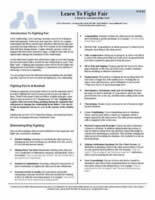 Get your free copy of Talking It Out in Ten, a worksheet and guide to help you think and prepare for your difficult conversation, by visiting www.lenski.com and clicking on Free Guide. You'll also receive Tammy's monthly newsletter and be entered automatically into a bi-monthly drawing for coaching and consulting time with Tammy. Dr. Tammy Lenski is the author of I Can't Say That!, a popular blog read by women all over the world. A professional mediator, conflict management coach and educator, Tammy works personally with women who want to keep their balance in conflict and step up to the conversations that really matter.